We wanted to introduce a little boy, his name is Elijah and his parents are one of FFFRs foster carers.... Elijah joined us at the Sydney Dog Lovers Show a fortnight ago & his Mum noticed him taking all the coins out of his wallet and going around to our donation tins putting all of his coins in! His mum asked "what are you doing?" His reply was, "I'm donating all my money to FFFR to help them save more animals!" His Mum was glowed in this proud moment! So proud of her son, she then saw him counting the rest of his "dollars". He counted $0.85 so she once again asked, "now what are you doing?" His reply was "I want to buy an FFFR pillow to help them as well!" His mum had her second proud moment within five minutes! He asked if he had enough & she replied 'not really but I'll give you the rest you need'. Elijah bought an FFFR pillow with the biggest smile on his face! 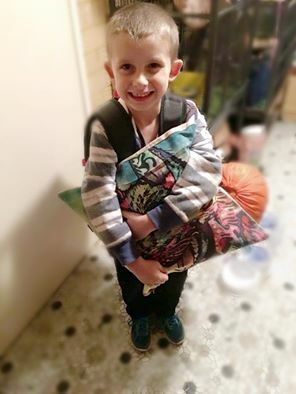 On the weekend Elijah attended a scouts camp and the only thing he really wanted to take was his FFFR pillow💖. This little boy at aged 7, knows exactly what rescuing animals is all about. He is one proud FFFR supporter and we as an entire team are so proud to have him on board! Kids are the future and as he grows, we know he will help make more of a difference in animals lives🐾. 11months ago a litter of cattle X pups were surrendered, all of them found homes except one, one sweet little girl that wasn't ready to find her forever home. Can you guess who we are talking about? Minnie! Minnie as most of you know has been with us since she was 5weeks old, she's had her surgeries to fix her ectopic utterer and has been on the mend since. Tonight FFFR received the best new ever! Minnie has found her forever family with her foster parents Kayla and Wes, her foster k9 siblings Ruby and Kye and feline sister Percy. She also gets to now become a foster sibling to all the other animals her Mum & Dad fosters for FFFR! We couldn't be happier that our little mascot Minnie will be staying in the FFFR family forever!! 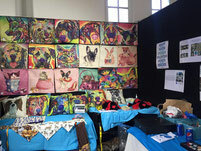 We had a really amazing weekend at the Sydney Dog Lovers Show! Thanks to everyone who came and said hi and gave our doggys a cuddle and treat! 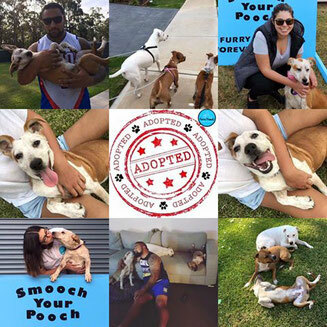 We are excited to announce that a few poeple we met on the day fell in love and soon adopted the dogs they met! If you are looking the largest amount of Dog info in the one place then be sure not to miss the dog lovers show 2017! Filled with loads of freebies, expert tips & lots of smoochy kisses! 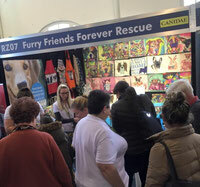 Don't forget to come say hello to the FFFR team & meet some of our beautiful doggies that are currently in care. When a few of us volunteers went to Picton for a fundraiser at the event a lovely man turned up with two underage kittens. A member of the public alerted us to a litter of kittens found squashed under a wood pile. Unfortunately majority of the litter had already passed away when he arrived he only had 2 kittens. 2 little tiny babys were hanging in there but soon after we saw them we realised that 1 unfortunately wasn't going to make it. As we held the tiny kitten we called Pow to our chests and keeping him warm he soon passed but he did know what love felt like for his last moments. One of our amazing foster carers stepped up and took in the tiny little fluff ball that is Sebastian. At only a week old we really didn't know if he would make it, being so young, skinny, flea ridden & weak but we were soon surprised with how well he took to the bottle and how quickly he gained weight. We cannot thank our foster carer enough for her hard work and dedication to Sebastian, without her he would not have survived. Being so small he had to be fed around the clock every 3 hours, waking up in the middle of the night and even going to work with his foster mum. 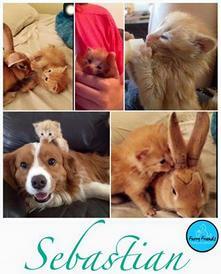 While in foster care he has made friends with some of his foster siblings of other species. Despite the hard work he has brought so much joy and excitement to his foster family and everyone he meets. Thanks to the donations and support of the public and all the hard work of the volunteers Sebastian has grown up to be a loving and adventurous kitten. He still has lots of growing to do before he is able to find his forever home but his future is looking a lot brighter and he has come along way since the cold, skinny and dirty kitten that was brought into care. Kitten Yoga was again a HUGE success! 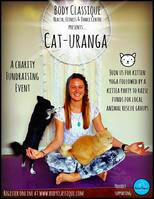 On June 19th FFFRESCUE attended the Caturanga Kitten Yoga event supported by Body Classique Health, Fitness & Dance Centre. We were honoured to be asked to attend & bring our kittens that are looking for their furever homes💖! 50% of all sales were donated to FFFR, a total of $700 was raised to help us continue helping the animals in need! We were also lucky enough to have C91.3FM the Macarthur radio station head down to join us & have a special announcement on the radio! Thank you everyone for attending & a huge thank you to Body Classique Health, Fitness & Dance Centre & C91.3 for their support of FFFRESCUE. Stay tuned for our next Cat Yoga Event! SavourLife® is a family-owned, Australian company inspired by a passion for dogs and a desire to make a difference. We make natural, Australian-made treats for dogs and donate 50% of our profits to pet rescue organisations; helping them save and re-home abandoned dogs. You can find us at all leading pet specialty stores, click below to find your local store! 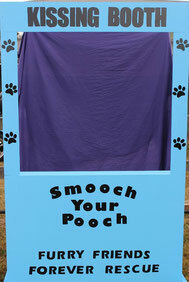 Furry Friends Forever Rescue were SO excited about the 'Paws in the Park" event held at Camden Bicentennial Equestrian Park this year as we were able to hold our first of many "Smooch Your Pooch" instant Photobooth! Everyone was welcome to jump into our booth, and with a donation, we printed your photo off for you as a reminder of the day spent with your furbaby! It was an amazing success raising much needed funds for FFFR and we will be sure our Photobooth will make many more appearances at future events!